For the past 22 years, the team at BOSS have served as a support structure for Sikh students across the UK. 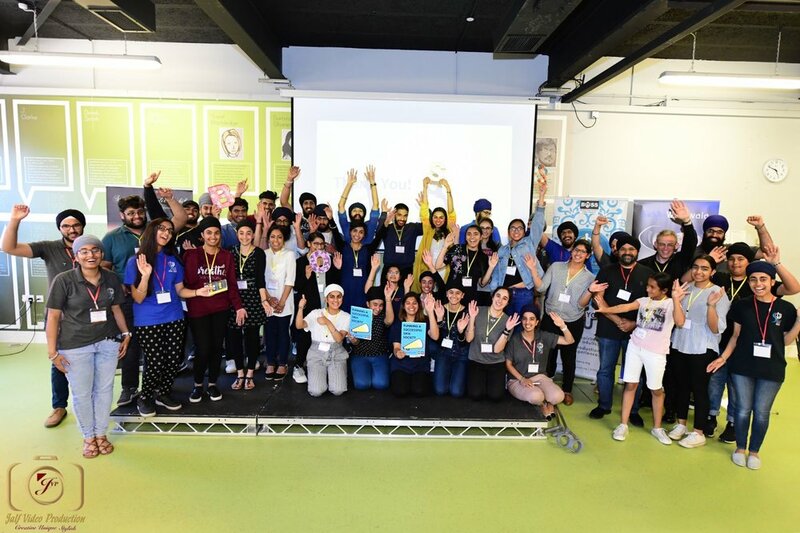 We've worked to empower our students and encouraged them to not only serve the Sikhs at their college or university but also serve their local community as a whole and then to take those skills out to the wider world upon graduating. BOSS alumni members have gone on to run camps and retreats, work for NGOs such as the UN and Amnesty International and set up various other Sikh organisations. On Saturday 30th June 2018 we were able to take our vision of empowering and upskilling the next generation of future leaders that one step further by organising our first BOSS leadership Day. We use the term 'organise' in an incredibly loose way. In actual fact, the day seemed to organise itself, as if a Higher Power had a hand in it. We were without a venue for a long time and then the perfect one fell into our lap. The ideal trainers (in both skill set and Sikhi ethos) offered themselves to us for service and the 35+ Presidents and Vice-Presidents that registered and attended outstripped our expectations by miles. To say the day was a success feels like an understatement. We are sat here, the morning after, quite in shock by the level of appreciation and love that was felt on the day. Several students had arrived before we had arrived and before the venue had opened! They smashed clean the myth that is passed about of students being lazy, unmotivated or apathetic. The next generation of our leaders are enthusiastic, energetic and incredibly switched on. They want to learn, improve themselves and improve the lives of those around them. It was and is truly inspiring to see. Our future leaders partook in two insightful sessions. The first session was on authentic leadership and understanding their own personal values and in the second the delegates were introduced to the concepts around leading a millennial generation and the different personality types they will encounter in their management roles. Throughout the day we also learnt about the Jeevan of several inspirational young Sikh leaders from history including Navaab Kapoor Singh, Mata Bhag Kaur, Shaheed Bhai Amrik Singh, Shaheed Bibi Upkar Kaur, Shaheed Bhai Jaswant Singh Khalra and the late Bhai Jagraj Singh. Finally, the students were introduced to their mentor for the year (from a cohort of BOSS alumni members), were given certificates as accreditation for the soft skills they acquired on the day and of course had plenty of opportunities to network with fellow student leaders. The day itself was special in many ways. Something that was brought to our attention yesterday (we hadn't really noticed before) was the equality that now exists within BOSS and the Sikh societies across the UK. Over recent years we have noticed an increase in Kaur leaders across UK universities and colleges. Yesterday we realised that there was a core team of 8 of us who organised the day from beginning to end. 4 female and 4 male. We had 10 speakers on the day and reflecting back we've realised the split of speakers was also equal. 5 female and 5 male. Out of the future student leaders who attended 55% of delegates were female. This shows the progress we have been making in terms of Guru Nanak Dev Jee's vision of gender equality and we hope Sikh institutions and organisations will begin to reflect this in the near future. There were many incredible people and organisations that the Divine seemed to have sent to ensure the training day was successful. Although thank you does not seem to be enough, alongside our Ardaas, it is all we are able to offer. Thank you to the Student Union at the University of Wolverhampton (and a shout out to 'Jen Bhenji' in particular!) who went out of their way to ensure everything ran smoothly and we had everything we could possibly need (and more!). Jennifer was truly magnificent. Thank you to our specialised trainers; the two Sukhis! We feel truly blessed to have the support of legends such as Sukhi Kainth and Sukhi Wahiwala who not only gave up their Saturday to come and train up a room full of Sikh students for free but bought with them guidance, support, energy and passion that money cannot buy. We are forever indebted to individuals such as these who work incredibly hard in their professional lives yet still find the time and motivation to take time out to support BOSS. It is fair to say that we wouldn't have been able to run the Leadership day without the two Sukhis and for that we are more grateful than you can know. A special thanks to the Wolverhampton team at Mr Singhs for providing the best Pizza in the land! Slices were taken back to the far-flung corners of the UK by our students and were enjoyed by all. Also thanks to Desi sweet centre for the Gulab Jaman, samose and pakore. No Sikhi based event would be complete without these! Thanks to Inderdeep Singh Jalf of Jalf Video Production. A student at Aston and one of the loveliest and talented students around. He took amazing photos and video photo and edited and released our highlights video (below) in less than 8 hours after we finished up for the day. Thanks to our BOSS sevadaars. Our students and recent (and not so recent) graduates who are the most reliable, selfless and loyal bunch of people you will ever meet. We salute you all! Long may you serve! Our final thanks has to be reserved for the student leaders themselves. Those who travelled from their hometowns of Cardiff, London, Milton Keynes, Manchester, Loughborough, Sheffield, Liverpool, as well as the Midlands massive. Your energy, enthusiasm, love and dedication never ceases to inspire and motivate us. The work you do and support you provide on campus is vitally important. A home away from home for many. Keep shining and working hard to serve those around you. Continue to keep Guru Sahib in your hearts and Vaheguru will continue to flow through you and all that you do. With love and support always.